Course Website: Official Website - Visit Ocean Forest Golf Club's official website by clicking on the link provided. Accolades: Ranked 6th in Georgia on Golf Course Gurus' Best in State list. What to Expect: While Rees Jones has worked on numerous high profile courses, his original work has often been unable to breech Top 100 lists across the country. 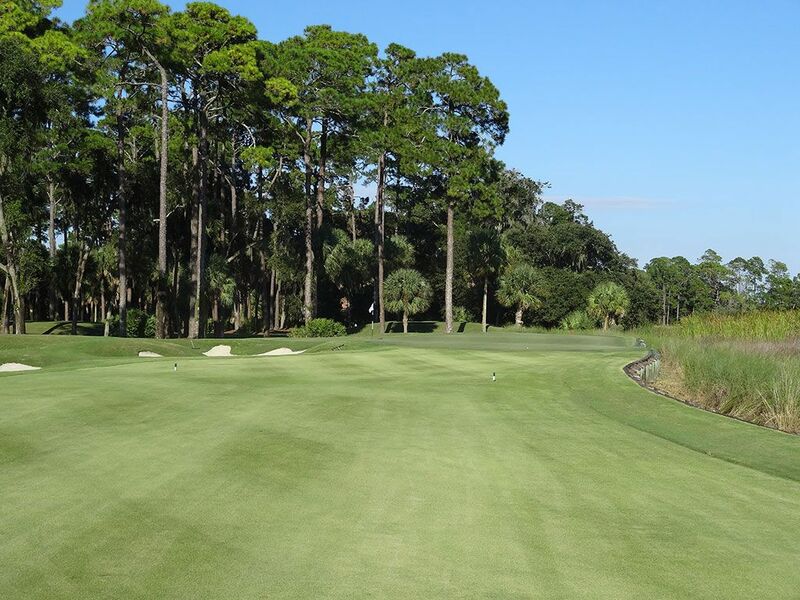 When presented the land at Ocean Forest, Rees wanted to take advantage of the opportunity to work on a parcel surrounded by water on three sides by creating something special. The result was a course that broke into the Top 100 in the early part of the 21st century and stayed on most of those lists for about ten years before dropping out. 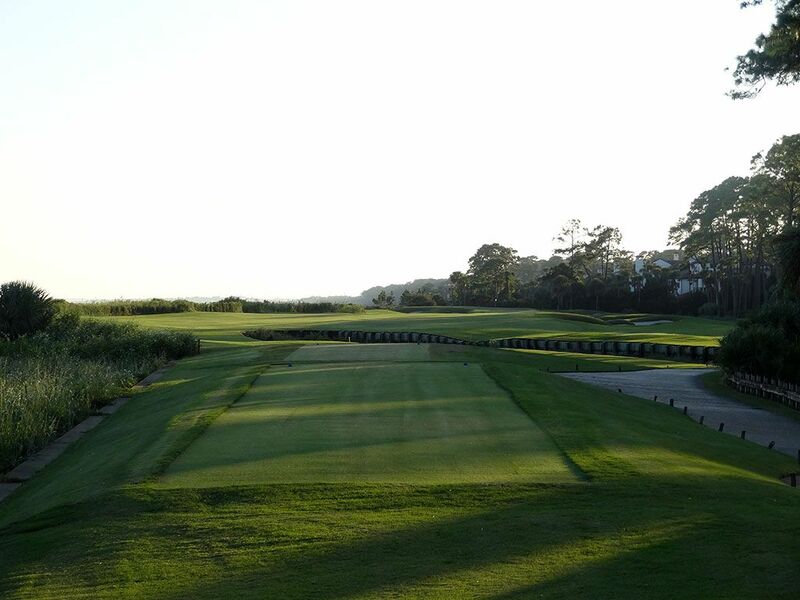 The course's name says it all; you play in a forest and along the ocean. There are a handful of water hazards (flying fish are found in the pond on #1/#9) to try and avoid as well as numerous bunkers scattered throughout the routing. The greens are relatively small by modern day standards thus putting a premium on iron play and your short game which is offset by fair playing corridors off the tee. 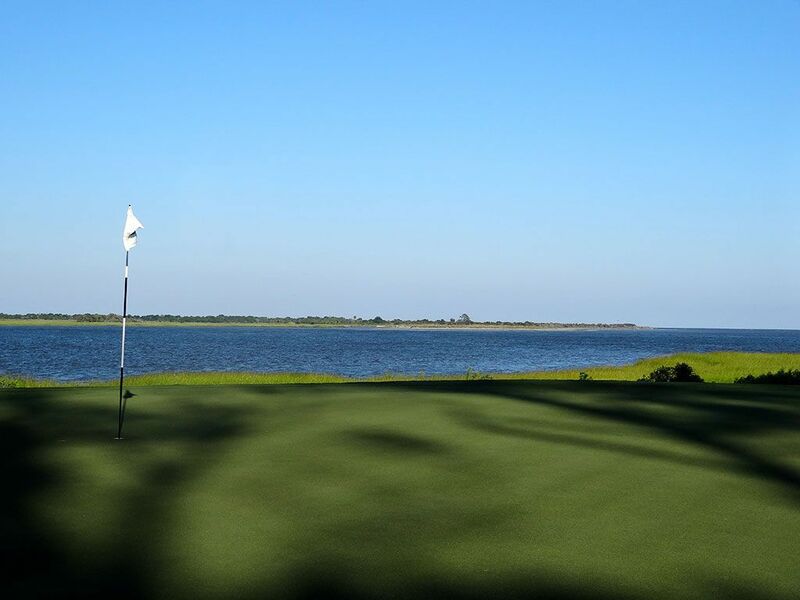 Players get glimpses of the water early in the round as the play out to the Hampton River which runs into the Atlantic Ocean before playing the two finishing holes which run right along the Atlantic coastline. The zoysia grass is kept in excellent condition and handles the salt well which adds to the overall enjoyment and playability of the course. Walking caddies or a forecaddie will be provided at Ocean Forest depending on which experience you are looking for. 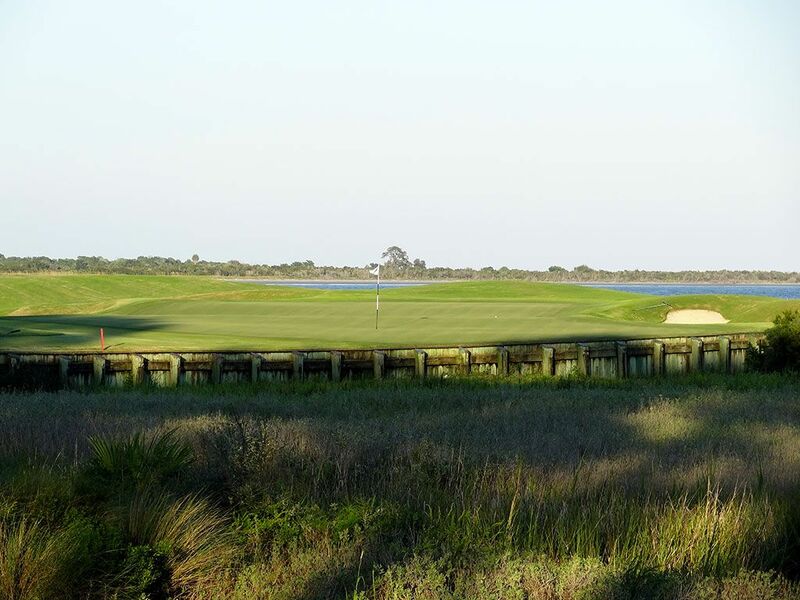 Signature Hole: 17th Hole – 216 Yard Par 3 – The final par three at Ocean Forest is a striking hole that plays over marshland to a green set in front of the ocean. A handful of bunkers surround the putting surface while tee shots that leak too far right will fall to the bottom of an ocean inlet protecting that side of the green. Very few holes actually sit on the Atlantic Ocean and this is the first of two found at Ocean Forest; evidence of the special property the course sits on. At over 200 yards from the tips, most of which is a forced carry, this hole is nearly as much beast as it is beauty. If you didn't bring a camera with you to the course, standing on this tee will make you regret it. 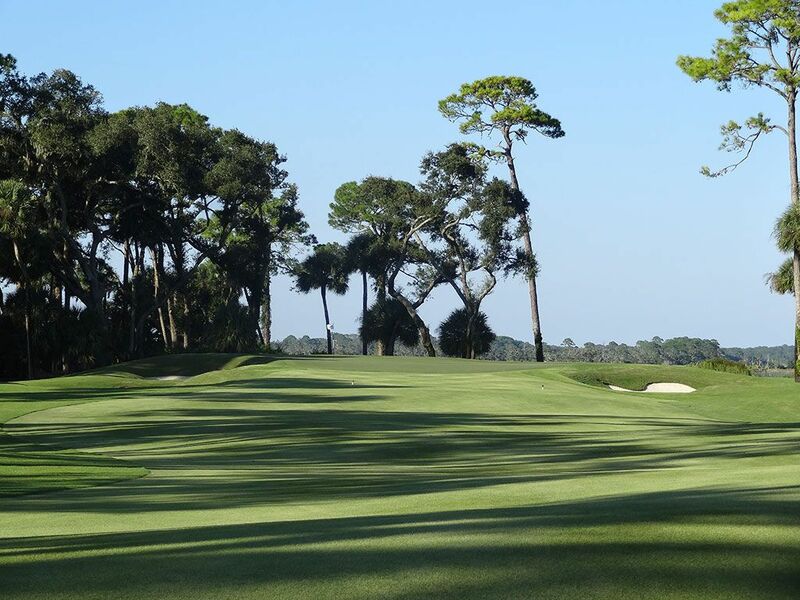 Best Par 3: 5th Hole – 194 Yards – Rees Jones teases players with glimpses of the water in the routing and the first one you get is on the 5th hole. 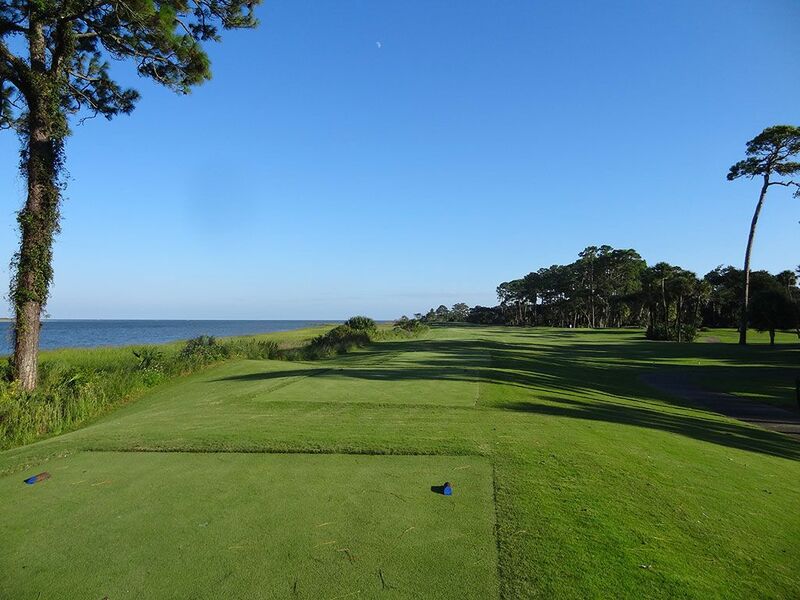 While it isn't the Atlantic Ocean behind the 5th hole, it is the Hampton River which flows into the Atlantic and provides an exceptional background. Bunkering flanks both sides of the green which adds a colorful and strategic element to the hole. 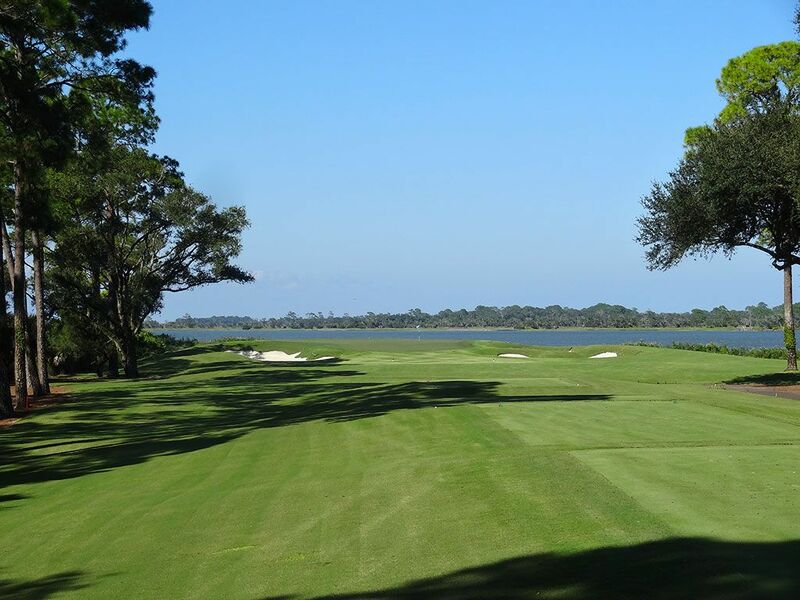 Wind often comes into the players face off the water which can effectively make the hole play a couple clubs longer than the yardage on the scorecard indicates. The first and last par 3s at Ocean Forest are two of the most scenic one-shotters on the eastern seaboard. Best Par 4: 18th Hole – 480 Yards – The finishing hole at Ocean Forest plays along the Atlantic coastline in a crescendo effect to Ocean Forest's musical score. 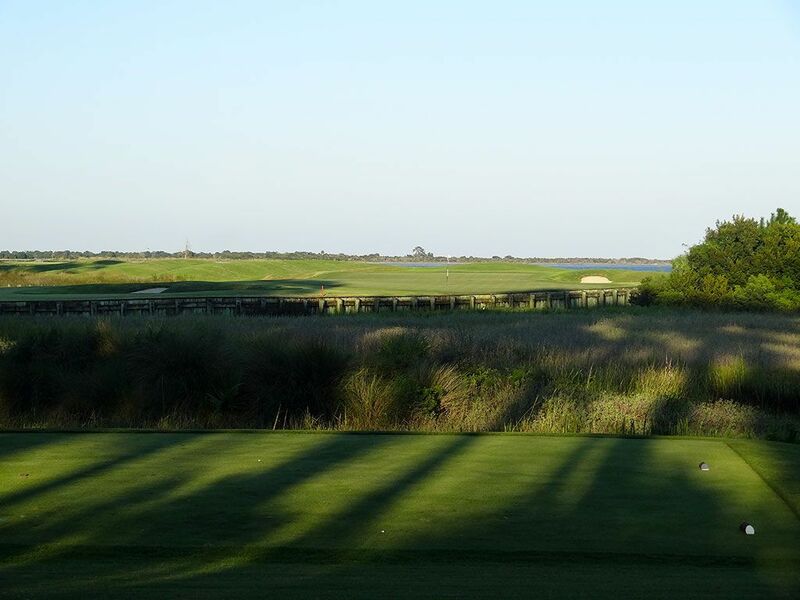 The tee shot plays over a small ocean inlet before continuing straightaway towards the green. The fairway slopes from left to right, away from the ocean, with a large bunker complex sitting right of the fairway in the driving area. The approach is quite challenging given the relatively small size of the green and the length players will be faced with on that shot. 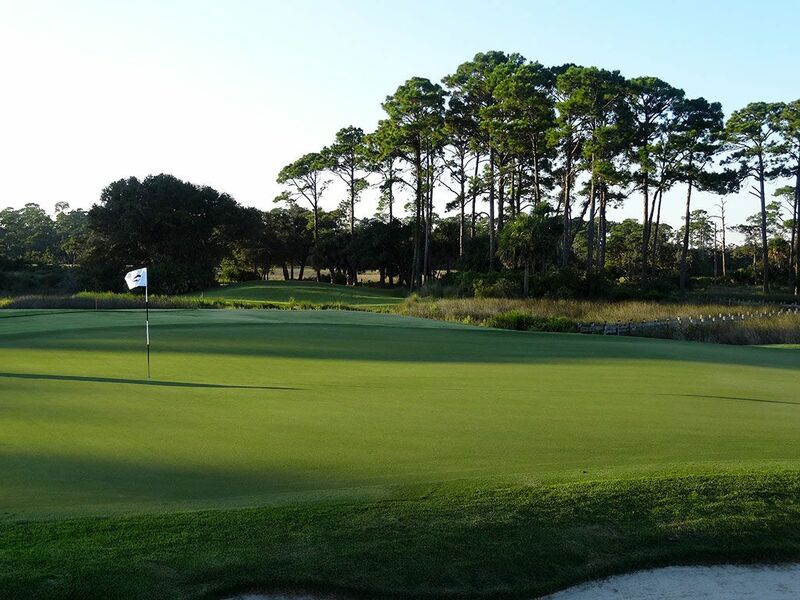 Rees Jones wisely saved the coastal holes as the final experience players will have at Ocean Forest to ensure they finish with the most majestic setting on the property. Best Par 5: 10th Hole – 545 Yards – The back nine is the better nine of the two at Ocean Forest and the opening par five is evidence of that. The tee shot plays over a grassland to a fairway that doglegs from left to right out of view. The risk/reward nature of the hole urges players to snuggle up the right side as tight as possible to open the door to reaching the green in two. Marshland runs the entire right side of the hole and eats any ball that leaks that direction thus adding to the risk portion of cutting yardage off the hole. The front left side of the green is protected by a deep bunker but the front of the putting surface is open and receptive to the ground game. 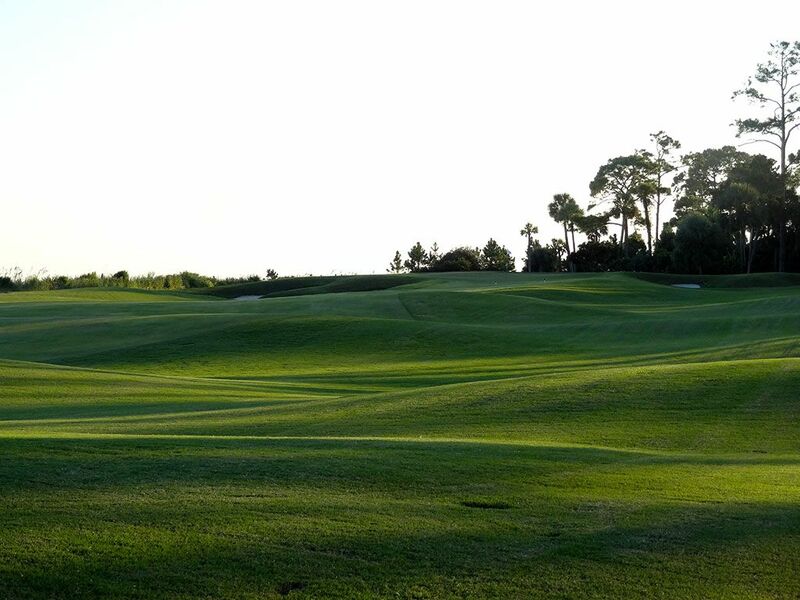 If you had a rough front nine, the 10th can give you a chance to get your game back on the right track. Birdie Time: 13th Hole – 381 Yard Par 4 – One of the most scenic holes on the course is also one of the best scoring opportunities at Ocean Forest. Running from tee to green along the Hampton River, the expansive hazard swallows balls hit to the left while a tree line frames the right side of the hole. The elevated tee box provides beautiful views across the water and offers a generous fairway to hit. The short length of the hole overall should put a wedge or low iron in your hand on the approach thus delivering a perfect chance to go pinseeking and knock down a birdie. The 17th and 18th hole may get all the hype at Ocean Forest, but the 13th was my favorite. Bogey Beware: 12th Hole – 483 Yard Par 4 – More than 100 yards longer than the par four that follows this hole, the 12th is an absolute bear to contend with. The fairway doglegs left through the trees and plays back towards the Hampton River which means you can often be playing into the wind. The green is slightly raised and protected on both sides by relatively deep bunkers thus making greens in regulation here a stout feat. In the end, this hole will not accept anything less than two exceptional golf shots to have any chance of avoiding bogey.